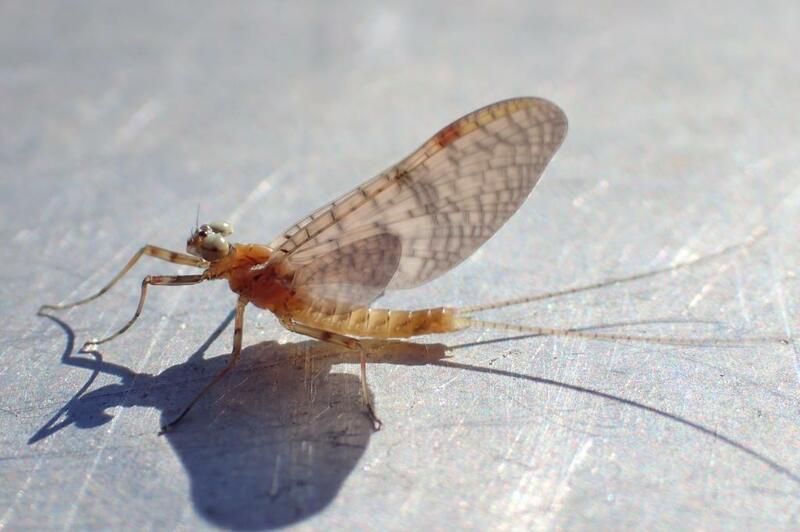 The so-called “major” hatches of mayflies have begun for the season. Some are sporadic but others come off like clockwork, albeit a different clock than we puny humans watch. 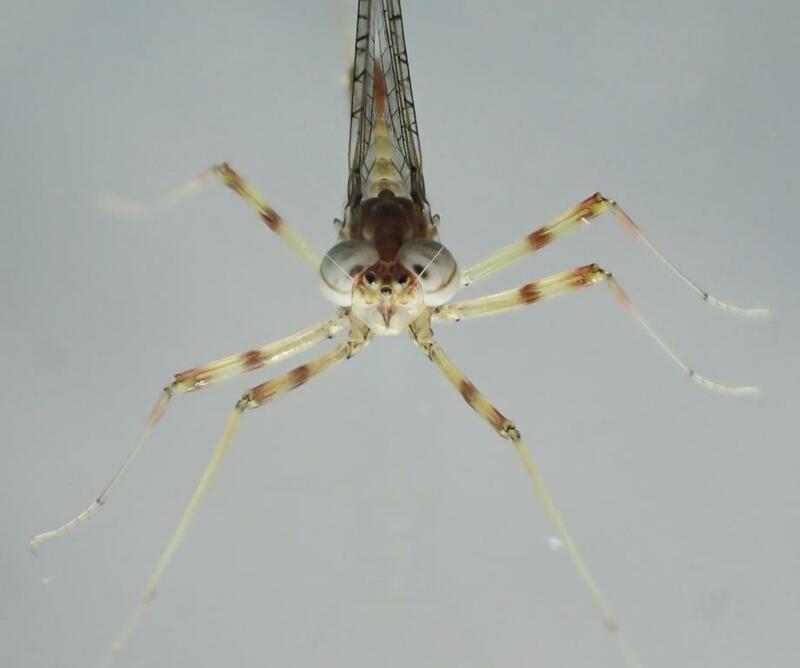 Intricate, delicate and very nearly absurd, they exchange the drab coloration and digestive tracts of their nymphal stages for the reproductive organs and gaudy apparel of adults. 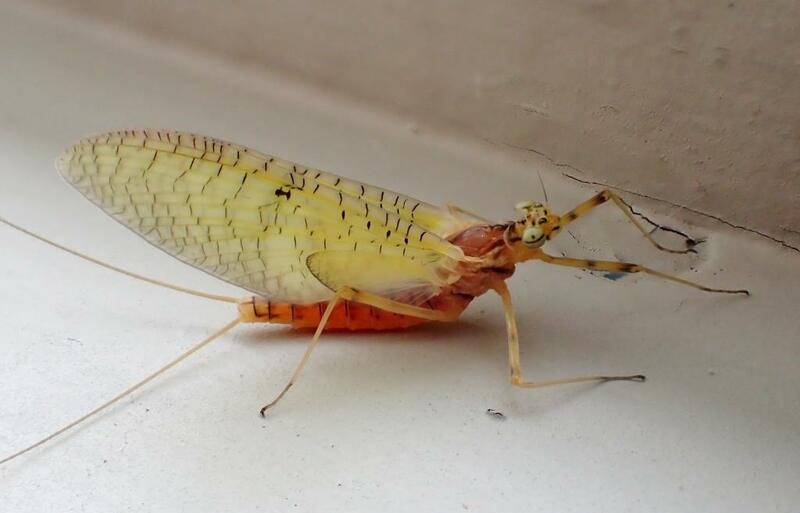 I find them in boats, on porch screens, clapboard walls, and in spider webs. When someone asks “What’s hatchin’?” I know, and not because I’m fishing all the time. The anglers of Fish in a Barrel Pond don’t fish all the time, either. Evidently, some of them sit around singing show tunes when things get slow or the sun goes down. That’s all well and good and their secret is safe with me, but those tunes have a way of sticking. I tried passing along an earworm of my own the other day but it was taken as encouragement so, before someone breaks out the Sondheim, I’m going to change the subject. A recognizable melody is one thing, and some songs become familiar simply through repetition. Visuals, however, are another thing altogether, so perhaps some absurdity will help end the madness. Led Zeppelin, like it or not, is a part of the soundscape for millions of people, including many with a fondness for Lerner and Loewe. Or Reggae music. Or Elvis Presley. Just in case that wasn’t enough to quell your urge to talk to the trees, here’s another one, in which the song remains the same but the band is different. Taking pompadours to an outrageous extreme and backed by the Alexandrov Ensemble Red Army Choir, the Leningrad Cowboys prove, if nothing else, that Helsinki is a heck of a place to put on a show. As an aside, on December 25, 2016, a Russian Tupelov Tu-154 jet crashed into the Black Sea, killing 64 members of the Alexandrov Ensemble, on their way to entertain Russian troops in Syria. But wait, there’s more. The Leningrad Cowboys and the Alexandrov Ensemble did it, too, but with fire-twirlers and go-go dancers because fire-twirlers and go-go dancers make everything better. Unfortunately, embedding has been disabled by request on this one so you have to follow this link. It’s worth it. There. Six hundred words and it only took what, thirty minutes? Meant to comment on your last post–the ear worm one. After watching and listening to Clint Eastwood (if it wasn’t dubbed) sing I Talk to the Trees, yes, it stuck in my head as I strolled around our estate. So I had to import “I’m Gonna Wash That Man Right Out of My Hair” to plug the ear worm. Luckily, the import didn’t stick around too long. Led Zeppelin stuff is too wandering and unmelodic to be an ear worm danger for me. 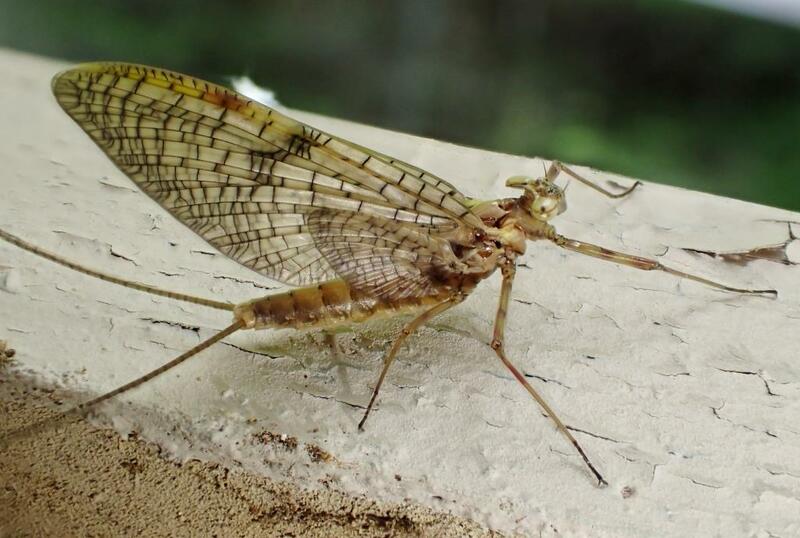 Love the mayfly pics! Clint Eastwood didn’t need no stunt singer and I shall refrain from comment on South Pacific earworms. I’ll give you “wandering” but “unmelodic”? At least with the Leningrad Cowboys, the melody may not stick but you can’t un-see what you saw! 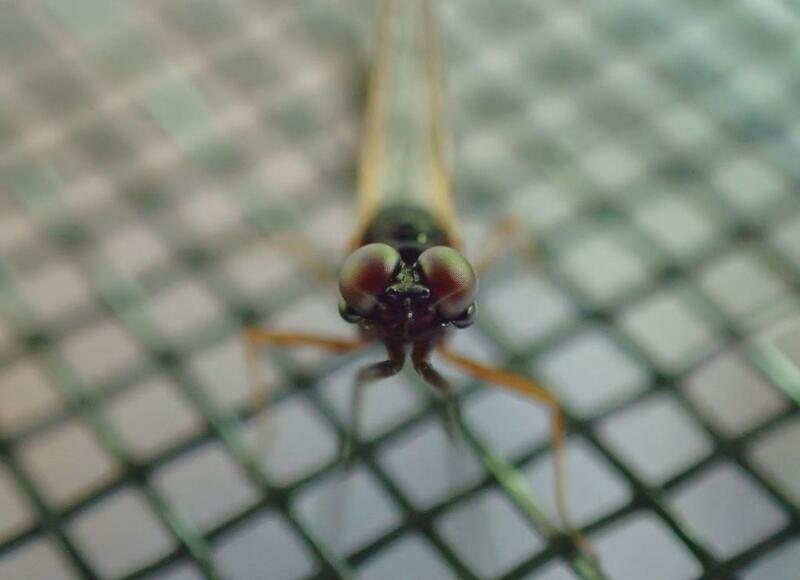 The mayfly pix are amaze! Thanks! I’m getting the hang of it. How did I get here? D@%N Yahoo!